3x Strength dark chocolate. 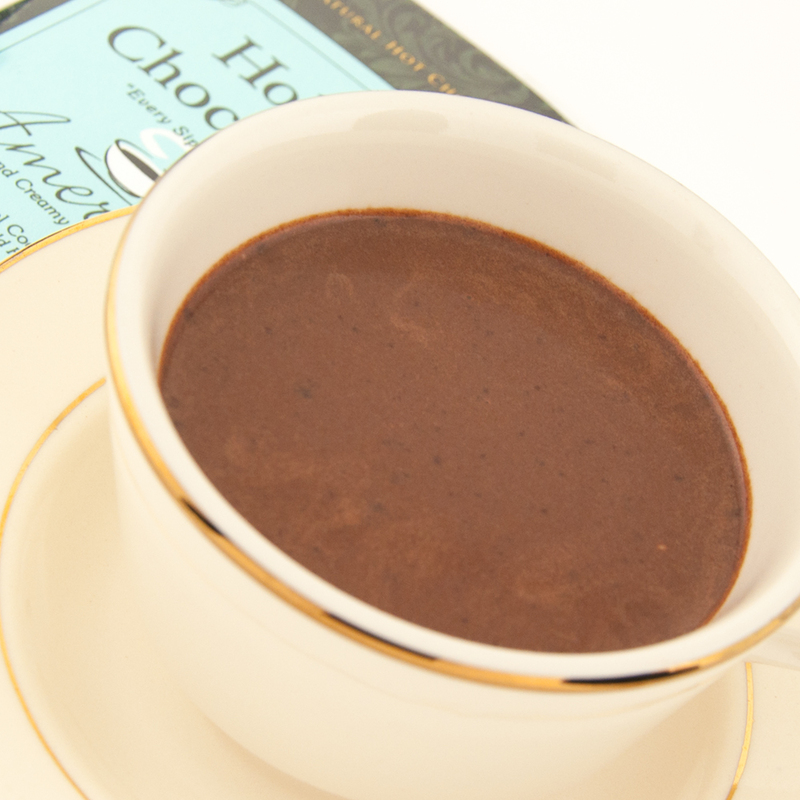 A gourmet hot chocolate that's like drinking a 55% bar. The other day I went into a store and got some American chocolate bars from the old order and I was disappointed by the burnt and chemically taste. It tasted waxy and false, so I have corrected all this with the American Chocolate. 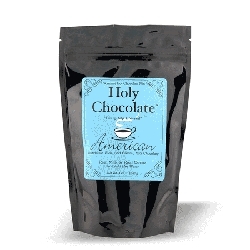 Holy Chocolate American is a return to the chocolate of our common childhood. It's sweet, but not too much so. And It's very thick and chocolaty. As a boy, my parents wouldn't allow me to eat much candy so when I got a chocolate bar I really appreciated it. At Halloween, my mind would reel with dizzying fantasies of gorging on chocolate. I would fantasize about the smell and the taste and licking my fingers. Sometimes I would just stare at the foil wrapping and ponder that the tinfoil was so much thinner than the tinfoil in the kitchen. 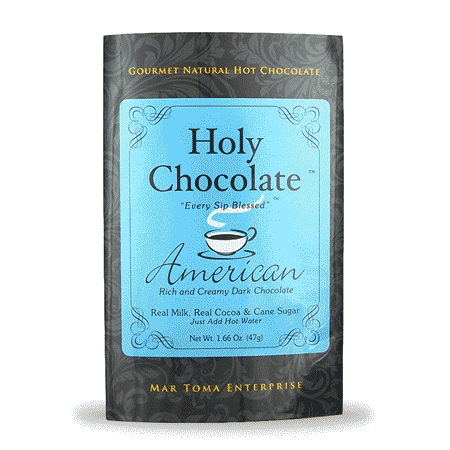 American chocolate wasn't pretentious, it just tasted great and had such a fantastic aroma. You knew that when you peeled back the foil you were going to have a good time. It was going to be sweet, chocolaty, and tasted clean. 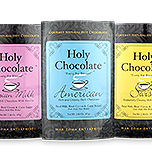 Traditional American chocolate is sweet milk chocolate with a smooth clean taste. 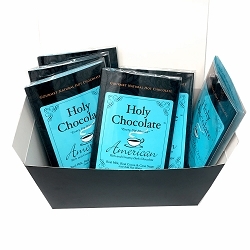 The American Style follows that tradition with a touch more cocoa in it so the chocolate taste is pronounced and balanced in the sweetness for adults.Lighter and smoother than the European Style and the Amsterdam it is a good old fashioned traditional chocolate. If you don't like all kinds of spices and fancy flavors then this is the one I made for you. It has a lot of satisfying flavor all by itself. One serving has 1.66 oz. of mix (twice the industry average) so that the milk is perfectly reconstituted and the chocolate taste is bold and luxurious. 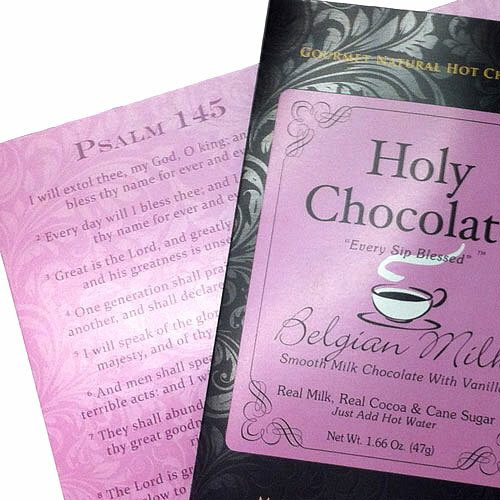 One wouldn't add more chocolate, but you wouldn't take any away either. You'll just want another one later. 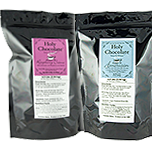 -All our mixes, only use real cocoa and real dried milk from pasture cows. There are no artificial additives, preservatives or fake milk mixes. "Heavenly things for a Heavenly people!... As is perfectly right!"